Call today for same day service! From new doors to urgent repairs, we're the team for the job! Schedule your appointment today! Our professionals are always at your service. Schedule online now! When it comes to repairing garage doors, there's simply no one better than our professional technicians. We can offer you parts made by the industry's leading brands. No matter how big of a problem you're facing, we'll be there to help you in no time. Leaving things up to us is the best way to ensure your system stays safe to use. Excellent replacement services that emphasize safety and efficiency, as well as professional repair and maintenance of openers and springs. We offer a wide range of garage door repairs services to our customers - click here to find out more about how we can help you today. Our experts can fix, replace and service any kind of garage door spring – click here to learn more about how we can help you. Want to know how to choose the right kind of garage door opener for your home? Our experts explain the common types available. We can help with all your repair and replacement needs - read more here! Find out why it's imperative you schedule regular garage door maintenance and safety checks to ensure your door operates to standard at all times. Click here to learn more! Our expert technicians are highly skilled and experienced in repairing both garage door and gate systems. We offer quality installation, as well as routine maintenance that will ensure your system keeps functioning for a long time. Learn more here. When overhead door springs break and openers stop working, you need help from a nearby service provider. Who? Garage Door Repair Palatine, of course. It doesn’t matter what the problem is - you may have a dented door panel or safety sensors out of alignment, but as long as you’re in the area near Arlington Heights or close to Deer Park, Garage Door Repair Palatine is on hand to help. Consider us the solution provider for all your needs, including opener troubleshooting, broken spring repair, and free estimates on new garage doors. A common issue that local residents experience is broken garage door springs. 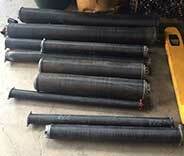 These torsion and extension springs may suddenly snap with no warning, which is a big problem. 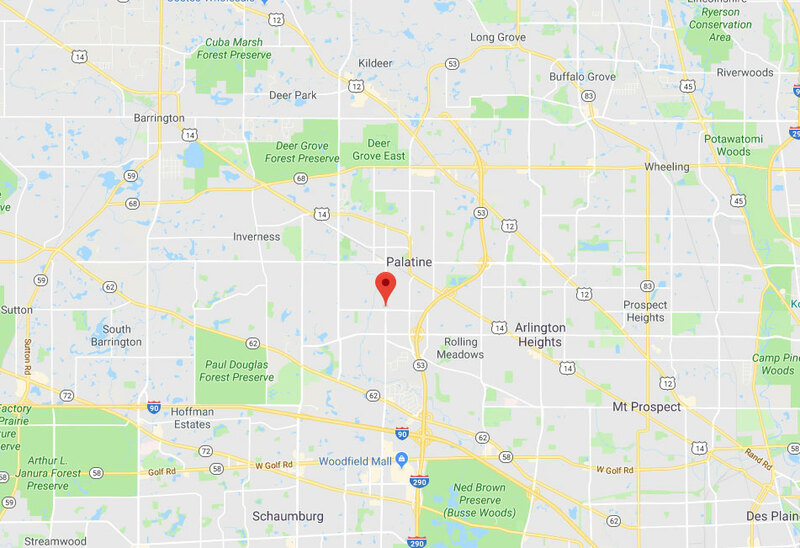 If you’re in the Garage Door Repair Palatine service area, which extends to cover local towns like Hoffman Estates and Inverness, replacement springs can be fitted quickly. With emergency same-day services available for urgent spring repair and replacement, Garage Door Repair Palatine provides the fast and reliable service your door needs. Without the springs, an overhead door will have trouble opening smoothly and safely. That means you and anyone nearby are in danger if you try to open a garage door with a broken spring. Leave the broken spring repair work to the nearest pros and avoid risk and injury. If you’re thinking of improving your home, who better to contact than a local garage door repair company near you? 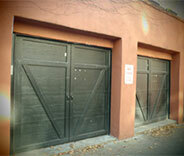 Garage Door Repair Palatine offers free estimates on new doors, and plenty more besides. We also provide new garage door installation services in your area, so if you want to make your Rolling Meadows home look more impressive or improve security in your Wheeling residence, give us a call. Products from a wide range of brand name manufacturers such as Clopay and Windsor are available. You can always get the very best overhead door models available on the market. 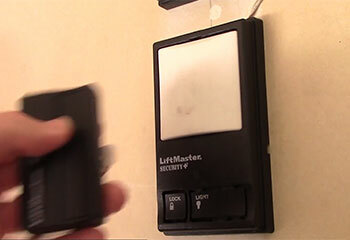 You may find that your Genie or LiftMaster garage door opener fails to work reliably. It may not be obvious why - these units can occasionally develop faults that can’t be easily diagnosed with the troubleshooting guides. Whether you have a Sears or Chamberlain garage door opener, or a model made by some other brand, know this – help is available. Garage Door Repair Palatine provides the expert skills to quickly identify and fix whatever problem your opener unit has developed. From broken opener drive gears to worn motors and faulty circuit boards. A full set of repair services available for all makes and models of automatic garage door opener models. 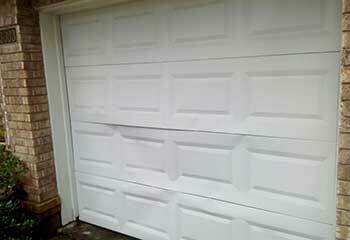 Many issues that Garage Door Repair Palatine solves are handled with regular maintenance. Providing lubrication for moving parts, ensuring that components are clean and free of old grease, and carefully checking for signs of damage all allow us to prevent problems from growing worse. This includes realigning garage door sensors and adjusting spring tension. These tasks are an essential part of garage door maintenance, and help you to avoid expensive and dangerous breakdowns down the road. Time is undoubtedly a factor when it comes for broken spring repairs and opener troubleshooting. You need help, and you need it fast, right? Well, the same day service policy that Garage Door Repair Palatine offers guarantees you'll get a repairman to come and assist you as quickly as possible. Get in touch with us anytime, Sunday through Saturday, for emergency repairs or any other service. Our top tier technicians have been repairing garage doors for many years now, and we've established quite a name for ourselves in Palatine. Every local homeowner knows to contact us when they need professional spring replacement or opener repair. We also perform new door installations, and can even help you choose the perfect one for your home. 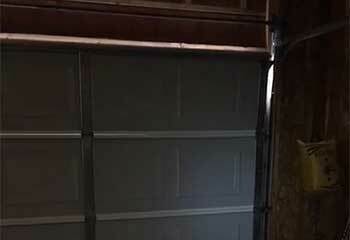 We were able to help these customers with their garage door problems. We can do the same for you. Wouldn’t you know it, this customer’s garage door spring broke. Not really shocking, seeing as it’s quite a common problem. Learn more. This customer noticed his tracks were bent and called us. Learn how this saved him money. 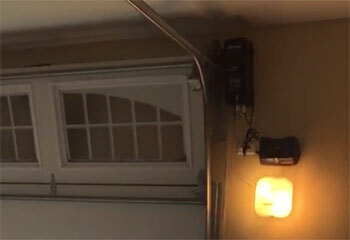 A customer needed our help with their garage door opener - here’s how we solved their problem. 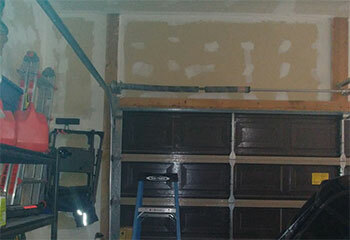 A customer needed our help getting their garage door back on track - here’s how we were able to help. A customer needed a new door for their garage; we were able to help them get the best one. Fantastic service from the serviceman from your company. He replaced our broken spring and got our garage door back on track in record time. I'll be sure to call you again for such great service! I just wanted to thank you guys for replacing my broken garage door springs so quickly. Your technician was very cordial and very professional. Please make sure to thank your technician for me. I thought I was going to be late for work, but he managed to repair my garage door so quickly I actually made it right on time. Interested in purchasing a new door? We work with top brands and offer competitive rates! If you're after a knowledgeable team of service providers to handle your garage door repair or replacement, our technicians can do it all. Click here to find out more about our company and experience. Have any questions? We are here to help! Leave your contact information down below and our team will get back to you as soon as possible. Thank you for choosing Garage Door Repair Palatine! One of our experts will be in touch soon. Feel free to browse our website for FAQ, tips and more useful information in the meantime!